3. Remove any excess lotion with the back of a butter knife or a spoon. 4. Soak the stained area in a mixture of detergent and water. 5. Wash in the warmest water possible for the fabric. 6. If necessary, follow-up with a wash in color-safe bleach. 7. Air dry and check the garment carefully for any residue before you run it through the dryer. 3. 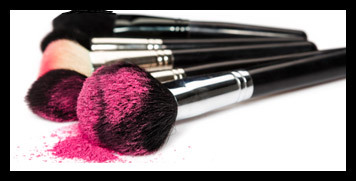 Remove any excess cosmetics with the back of a butter knife or a spoon. 3. Remove any excess cream with the back of a butter knife or a spoon. 3. Soak the stained area in a mixture of detergent and water. 4. Wash in the warmest water possible for the fabric. 5. If necessary, follow-up with a wash in color-safe bleach. 6. Air dry and check the garment carefully for any residue before you run it through the dryer. 2. If stain is heavy, scrape off any remaining lipstick with a spoon or back of a butter knife. 3. Rub in liquid detergent and soak in a mixture of detergent and water for up to 30 minutes. 4. Wash in the warmest water safe for the garment. 6. Air dry and check the garment for any remaining stain. Repeat the procedure if necessary before you place the garment in the dryer. 1. Consider taking the garment to a professional cleaners. 2. If not, check the garment label. 3. Check an invisible corner of any colored fabrics to be sure that the treatment you choose will not affect the color of the garment. 4. Use a non-acetone nail polish remover, and dab on the stain. 5. Wash in the warmest water safe for the garment. 6. Air dry and check the garment carefully for any residue before placing it in the dryer.